The main appeal of the Toyota 86 is grippy, rear-wheel-drive handling that lets you throw this sports car through turns. Snug seats keep you in place for lively driving, and the cabin ergonomics and controls work in favor of the driver. A simple touch screen is easy to use and won’t pull your focus from the road ahead. The 86 is a good choice if you have a tight budget and don’t need a ton of trunk space. Toyota also offers it from the factory with optional performance upgrades like TRD brake pads, lowering springs, an air filter, a performance exhaust, and a sway bar kit. The 2019 Toyota 86 starts at $26,455, which is a little above average for the sports car class. Two higher trims retail for $28,585 and $32,420, respectively. A manual transmission is standard, but you can equip any model with an automatic for $720. We welcome driving enthusiasts from the Northeast, Ohio area to experience the style and affordable thrills of the 2019 Toyota 86 sports car at our dealership in Akron, OH. With one test drive of the new Toyota 86, you are sure to want one to park in front of your home! Enjoy the 2019 Toyota 86 and its pure sports car driving experience with a starting MSRP* of $32,024, or opt for another trim level for enhanced amenities. Every 2019 Toyota 86 gets performance features like a Boxer-Four engine, sport-tuned suspension, and chrome-tipped dual exhaust. The Toyota 86 GT trim adds comfort and performance, thanks to its leather-trimmed heated front sports seats and matte-black rear wing. Locate your Toyota 86 of choice here on the Luxury Care website, then visit me for a tour, followed by a test drive. Our team invites you to explore the New Toyota 86 and its striking style and performance, so stop by today! The National Highway Traffic Safety Administration gave the 2019 Toyota 86 four out of five stars in the frontal crash test and five stars in the rollover test. Available Trims: 86, 86 GT, 86 GT Black. 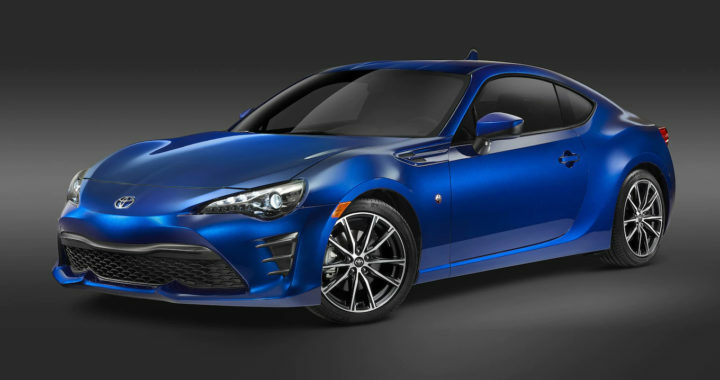 Posted in New Vehicles and tagged 2019 Toyota 86 Manual Transmission for sale in Cleveland Ohio, How Much Does the Toyota 86 Cost?, Is the Toyota 86 a Good Car?, New Toyota 86 For Sale In Northeast OH, Should I Buy the Toyota 86?, Toyota 86 For Sale In Akron OH, Toyota 86 or Mazda MX-5 Miata?, Toyota 86 or Subaru BRZ?.